Home » Blog » Save $100 with our winter refurbishment special! Save $100 with our winter refurbishment special! Over the past few months, your bike has seen rain, mud, and the dreaded wintry mix. It could probably use some love. We want to make it easy for you. 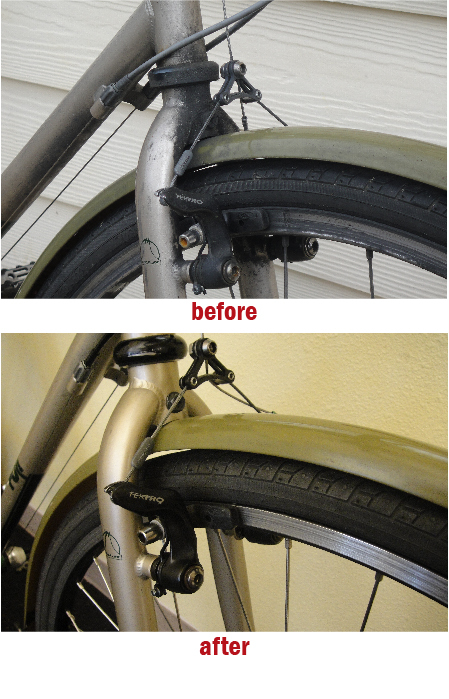 This January and February, we’ll take $100 off the cost of all bike refurbishments. We’ll put the same love and care into your bike that we do with our refurbished bicycles that we sell in the shop. 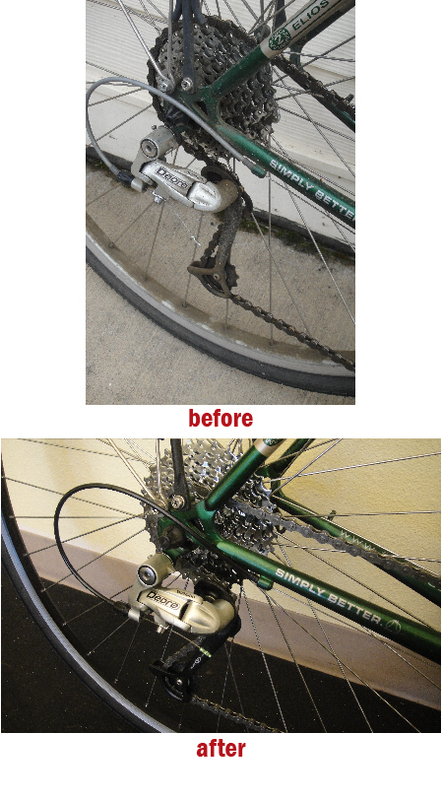 When we refurbish your bike, we start by stripping the bike to its frame, then we clean and wax it. Next we overhaul the headset, hubs and bottom bracket. Refurbishments include a complete tune up and drive train cleaning, so when you get your bike back from us, it will feel brand new! Our standard refurbishment price is $275 for road, commuter, and mountain bikes. During this special promotion, we’ll take $100 off. Not sure if your bike needs to be refurbished? Stop by our shop and chat with our friendly mechanics.